Among the roster of Lodges which meet in our Province we feature a number of excellent old Lodges that have been with us for a very long time. Sometimes those Lodges are still doing well, but in some cases they are perilously close to reaching the end of their existence. Unfortunately Minerva Lodge No 300 is one of them. It was founded in 1793, four years into the French Revolution, in Ashton under Lyne, and has met in that town ever since. When it was consecrated it was one of only half a dozen Lodges meeting in Manchester, now it finds itself struggling to keep going. With only about a half dozen members attending meetings, it can no longer function without visitors. So its members decided to celebrate its 225th Anniversary, just in case they didn’t make it to 250. 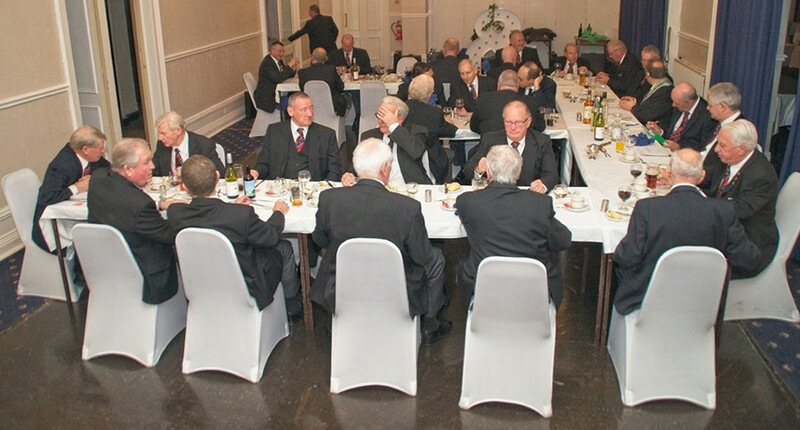 So we gathered together, some 45 of us, all friends of Minerva Lodge, to celebrate and have a good time. WBro. John Pearson, our Assistant Provincial Grand Master came along and brought the District Team with him, and took the Chair of the Lodge from the W. M. Robert Brown. We were then regaled by a fascinating History of Minerva Lodge given by it’s able Secretary Peter Gichero. We all talk about making a daily advancement in Masonic knowledge, but on this day I made enough advancements to keep me going well into April. Admittedly, there were no certificates to present, no lapel badges or jewels to be worn, but there was a good attendance of like minded brethren who wish Minerva the very best in the future. With just a bit of luck, they will find a few new members, whether they are fresh to the Craft or joining from another Lodge and they will start to grow back to strength. After all, any new member would be welcomed with open arms and would certainly find a happy home in Minerva Lodge. be used for any commercial purpose without the express written permission of the copyright holder.